Last week, the stars of 90 Day Fiance met in New York to tape the reunion show. Based on social media, it looked like they were having a great time together in the Big Apple. 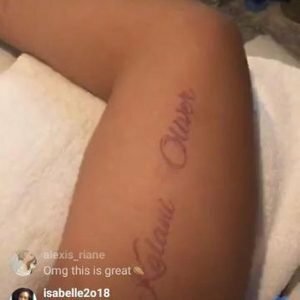 It seems that Asuelu Pulaa and Jay Smith bonded so much so that Asuelu ended up getting some new ink from the Jamaican tattoo artist. 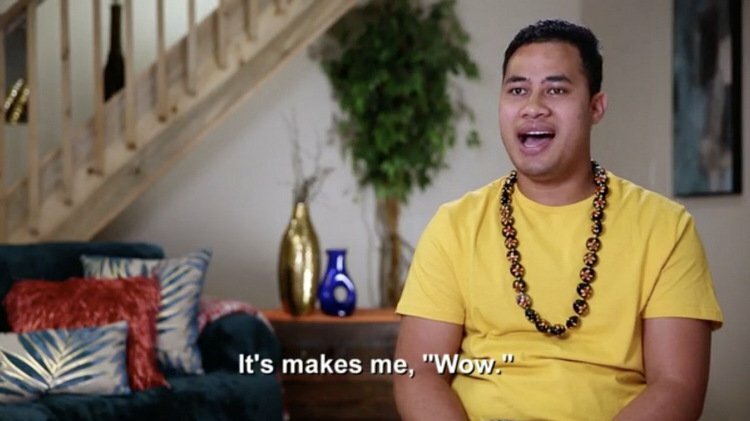 It appears like Jay may have worked on Asuelu’s tattoo in a hotel room. You can see his arm outstretched on a towel. Maybe it was a spur of the moment decision? Either way, the tattoo looks great and is a sweet homage to Asuelu’s family. He got his fiance’s, Kalani Faagata, and their son Oliver’s names on his right arm. Jay seems like he is ready to get back to work! He left a flourishing business back in Jamaica, but once he receives a work permit he’ll be able to continue his passion in the USA. Or at least that seems like the plan, especially with his notoriety from being on 90 Day Fiance. TELL US- WOULD YOU GET A TATTOO OF YOUR PARTNER’S NAME?